The Reynolds School of Journalism’s Community Podcast Center officially opened its doors Wednesday evening at The Innevation Center University of Nevada, Reno-Powered By Switch. 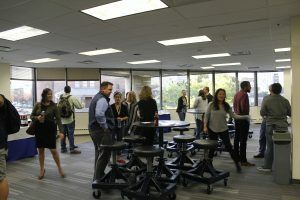 The Podcast Center is the Reynolds School’s first ever community space where both University members and the local community can come together to share a equipment, techniques and ideas to promote diverse stories. Podcasting is in a golden age and is an effective way for journalists and business owners to connect with audiences. The center’s launch event drew members of the University, local entrepreneurs, podcasters and the podcast-curious. 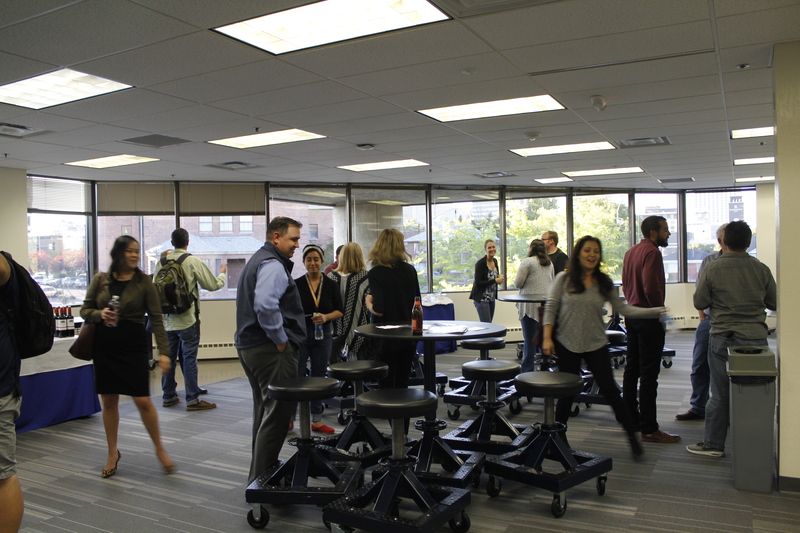 Attendees enjoyed light refreshments and remarks were given by Vanessa Vancour, editor of Noticiero Móvil, and Rose Catron, operations manager at The Innevation Center. 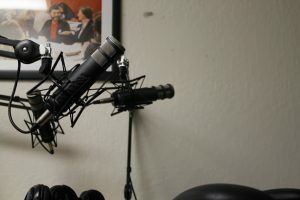 Those in attendance had an opportunity to tour the center which houses the equipment needed to produce quality podcasts, including four studio microphones, an audio mixer and studio computer loaded with the latest Adobe software. The center will be available for reservations by contacting The Innevation Center. The Podcast Center is open to members of The Innevation Center, community members and Reynolds School students. In order to make the space accessible to people of all skill levels, a partnership with the Reynolds Media Lab, Reynolds School students and faculty will help to train community members and local businesses to produce their own podcasts in the studio. These training sessions will allow students to showcase their expertise in audio production and teach community members skills they’ll need to produce podcasts. Courses will cover how to operate an audio studio, how to plan, research and storyboard an audio story and how to write a script. Training session times will be announced in the coming weeks. 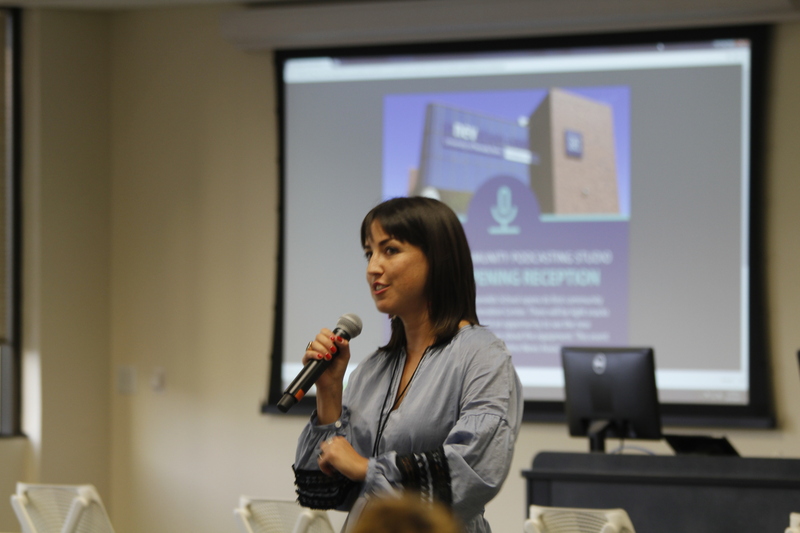 The Reynolds Community Podcasting Studio was established through a grant to the Reynolds School from the Online News Association, and Reynolds School faculty and editor of Noticiero Móvil Vanessa Vancour played an instrumental role in opening the studio. The studio will also serve as a downtown hub for Noticiero Móvil, the Reynolds School’s bilingual news service, and for the Reynolds Media Lab, the school’s production center. 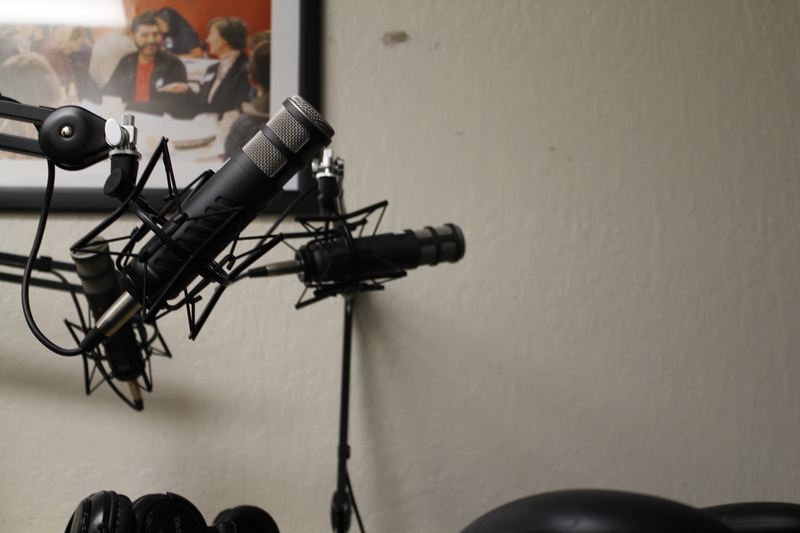 For more information about the Podcasting Center and its programming contact Vanessa Vancour at vvancour@unr.edu.